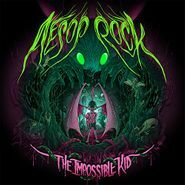 Aesop Rock’s follow-up to 2012’s Skelethon is produced by the rapper himself. If you’ve ever wondered what’s going through the motor-mouthed MC’s head, watch the video for “Rings” below. 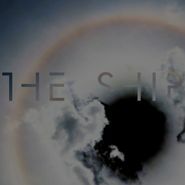 Legendary producer and artist Brian Eno’s latest is an ambient work inspired in part by the sinking of the Titanic and World War I. It also includes a cover of The Velvet Underground’s “I’m Set Free.” Hear the title track below. Before The Weeknd hit it big with his latest album, Beauty Behind the Madness, and its accompanying huge singles ("The Hills," "Can't Feel My Face"), The Weeknd came through on his debut studio full-length like a cold front from Canada, with gorgeous R&B melodies shrouded in lo-fi sound and cool atmosphere. Along with his excellent first mixtapes, collected on Trilogy, Kiss Land introduces us to Abel Tesfaye's way of injecting creeping menace into gripping songs like "The Town," a song about rekindling an old flame after time on tour that echoes its feelings of longing with dramatic synth work. Musically, he keeps things fascinating throughout. The brutality of his Portishead-inspired beat in "Belong to the World" helps send that song's disaffected love lyrics home. And the album's murky final tracks see Tesfaye showing off at what he does best — creating epic (and epically sad) R&B anthems, like the hip-hop equivalent to tracks from The Cure's Disintegration. Kiss Land may be a downer, but Tesfaye's catharsis makes for a beautiful listening experience.